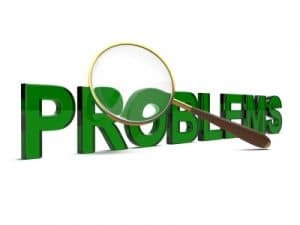 There are a great many ways in which organisations can get into trouble with their virtual teams, many of them, taken in isolation, will not cause too large a problem, but once two or more problems occur concurrently, or even sequentially, things can begin to unravel quite quickly. Following are a few of the common virtual team problems, along with some suggestions for how to avoid them. These mistakes are not identified in any particular order, but they are some of the biggest and most common. Many organisations get into virtual team execution having been successful at executing work in single locations. They assume their success in their traditional approach will automatically carry forward to a multi centre model. The reality though is that by trying to apply the same methods, practices and leadership style to a multi centre, potentially multi cultural structure is not so simple. Systems and processes developed for single centres tend to make a lot of assumptions about the culture of the host office, they become part of the natural way of working for those in that office and make a lot of unstated assumptions about how lines of communication will operate. Transposing these practices onto another location will present the new location with an alien way of working, one which may well not fit with their established practices and may even be less productive than their previous approach. Culture, of the individuals, the organisation and the locations plays a enormous part in the way an office and a business operates. Every individual will have their own cultural perspective on life, one that is developed over their lives based on the norms and expectations of their home society, where they grow up and who they associate with. This culture will pervade everything they do and how they work with others. Organisations develop a culture driven from their founder, shareholders, management, staff and home culture. Similarly, every location will have its own cultural norms, even if all of the offices are in the same country there will still be some differences. For an organisation to then ignore the impact of culture on their systems, their communications and the way they interact is asking for trouble. Any personnel required to interact with those from another locations should have the opportunity to access appropriate training and support to help them collaborate better. Successful leaders of single centre work tend to be extremely good at understanding both the visible and invisible issues facing their team, they can read situations clearly and recognise intuitively how to get the best from their people. Single centre leaders however are not always so good when challenged to lead multi centre, diverse teams. Successful leaders of virtual teams need to be able to understand the subtle and not so subtle signals coming from each of their offices and respond accordingly, they need to be more comfortable with ambiguity, very even tempered and comfortable in delegating responsibility to trusted colleagues in the other offices. Many organisations will put their best single centre manager in charge of a multi centre project without considering their overall suitability, only after some real issues start to surface will they then reconsider the deployment. Redeploying those who have been unsuccessful in leading a multi centre team can have negative impacts on their careers, confidence and retention which is an unfortunate and often unnecessary outcome for otherwise talented and valuable personnel. Many organisations will also enter into multi centre execution in an attempt to save costs of delivery. They apply the same estimating methods and metrics with different salary rates, as they would in their home office, but with no allowance for either regional variations in productivity, additional interface time or potential training and support costs, creating a false expectation of savings. If cost saving is the ultimate aim, it needs to be tempered by appropriate consideration of the additional costs to support the endeavour through training and potential travel, along with realistic expectations of productivity. This allowance for support and efficiency will give a more realistic picture of the likely outcome. Similar considerations need to be applied to schedule calculations. A second office that is 25 percent of the home office cost in terms of wages, but which has a 33 percent productivity level when compared to the home office is going to add a considerable number of labour hours to the schedule, the impact on schedule could easily out weigh any cost savings. Before starting on a new virtual team undertaking, whether it is a small internal project or a major client driven one, it is vital for the company starting the work to take the time to consider the true picture and demands their approach will place on their business. The business leaders must ensure a genuine and valid estimate of all costs and schedule is produced, one that truly reflects the real world situation. Only then can they judge whether the approach is right for them. Once a virtual team project is sanctioned it needs to be continually monitored and supported by all parties to ensure the virtual team problems identified above, along with any number of other large and small issues, are properly considered and managed.